House Intelligence investigators have wrapped up their interviews pertaining to the panel’s investigation into alleged Russian meddling during the 2016 presidential election, the Wall Street Journal reports. The House Intelligence Committee has finished interviewing witnesses in its yearlong probe into Russian interference in the 2016 election, according to a person familiar with the matter, signaling the end is near of a contentious investigation that has revealed deep partisan divisions on the panel. The Republican-run committee is now preparing to write a report based on the testimony of dozens of witnesses and thousands of pages of documents. The panel has interviewed more than 50 individuals, the last of whom was Corey Lewandowski, the former manager of Donald Trump’s 2016 campaign, who testified last week. The panel didn’t interview the president, but it did call many of his closest aides and confidants over the course of the investigation, including his son-in-law Jared Kushner, his son Donald Trump Jr. and his former senior strategist Steve Bannon. 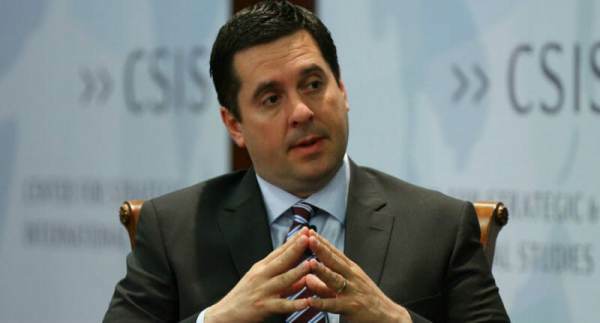 News of the panel having wrapped up its interviews come amid reports that Nunes has expanded his probe to include various former Obama officials. As The Gateway Pundit previously reported, the House Intel Committee issued letters to a dozen former Obama administration officials on Friday. One of the former Obama officials who received the questionnaire from Nunes happens to be the wife of a Fusion GPS employee. The Daily Caller News Foundation is told that one of the letters was sent to Shailagh Murray, a former journalist who served as senior adviser to Obama and as former Vice President Joe Biden’s deputy chief of staff. Murray’s husband is Neil King, a former Wall Street Journal reporter who worked at the newspaper at the same time as Fusion GPS’s three co-founders, Glenn Simpson, Peter Fritsch, and Tom Catan. Murray also worked at The Journal until 2005. She joined the Obama administration in 2011. King left The Journal in December 2016 after accepting a buyout offer. Politico reported at the time that he was joining Fusion GPS, which is based in Washington, D.C.
On February 20th, Chairman Nunes launched ‘phase 2’ of their probe into the origins of the phony dossier. Nunes sent similar letters to former Intel chief James Clapper and former CIA Director John Brennan and former FBI Director James Comey. Calls for a second special counsel to investigate Obama’s FISA abuses reached a fever pitch this week. The post PAPER: House Intelligence Committee’s Russia Investigation Has Reached A Turning Point appeared first on The Gateway Pundit.